When a perfect new love is shattered, two hearts will do anything to pick up the pieces. In this sizzling novel from the bestselling author of Stone Walls, irresistible heat leads to sensual thrills—and a secret that changes everything. Two years ago, Nick Farley was undercover as a bartender in Chicago. The tough-as-steel FBI agent was working all the angles to build a case against a local crime syndicate, but even his intense focus was no match for the sight of Angela Cavello’s plump pink lips pulling on her drink. All Nick got was one night—the longest, hottest, sweetest night of his life. It could have been the beginning of something real. Instead, she walked away—and Nick watched her go. Angela has made some mistakes in her life, but Nick was never one of them. Nor was the baby boy he doesn’t know about. But Angela has been running from a stalker for so long that she’s forgotten how to feel safe. So when Nick suddenly reappears in her life, Angela faces a moment of truth. She wants to trust him and reveal her secrets—her life and the life of their son may depend on it—but first she needs to know that Nick can handle her past, and promise the one thing she most craves: a future together. Glass Ceilings is meant for mature audiences 18+ due to sexual content and adult situations. 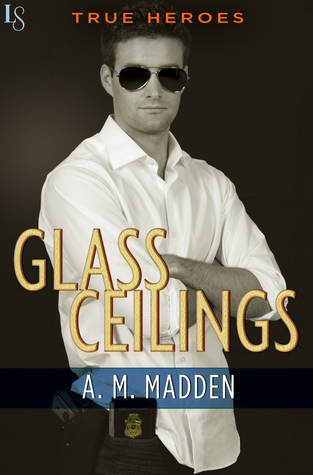 Glass Ceilings is a stand alone novel from the True Heroes Series. This book starts off with a bartender Nick Farley beating everyone who has challenged him at darts and his friends cheering him on. You find out as the story goes on that he is an undercover agent for the FBI, and he is gathering information on the owner of the bar for a sting operation. This is all good until he is attracted to a woman who comes into the bar with her cousin named Angela. He is taken away by her looks and when she finally does talk to him that just seals the deal. After a few weeks of asking her out her cousin leaves her at the bar and he gives her a ride home. They start to spend a little more time together and as his case is winding down he ends up at her place early in the morning they spend most of the time not sleeping. It is at this point when he tells her that he is an FBI agent working undercover and will be going back to New York in a few days. She does not have any problems with that and wants to meet him in New York in a few weeks. Fast forward two and Nick is now Deputy Director of the New York office and is walking into an interrogation room. The person who is sitting at the table is Angela and her ex-boyfriend that he did know about two years ago because they broke up was found shot in his apartment and he has her cell phone # on his phone. Needless to say he is pissed because she is there in front of him, but he did not know she even made it to New York because as the story explains they stopped talking after eight weeks. After she leaves she waits for him to leave the building because she has some other news that she needs to tell him. They go to an out of the way diner where she explains that he is the father of a two year old boy, and after seeing a picture he knows he is the father because the boy looks like him. 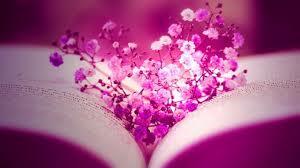 This is when the book goes back and forth between past and present. Want happened up to and after they stopped talking on the phone. 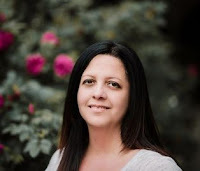 Her explaining many things as the story goes along as you the reader are still trying to figure out who killed her ex and how and why is there a mob war between two families. There is a lot going on but it is written in a way that keeps you connected with both past and present, and you get a feeling that there is a dirty agent but it was not the person I thought. Which was a good twist. Will they work through their past two years and find the love that they once had. Read this book to find out. A very good story! I got this book from netgalley. I gave it 5 stars.